I am a natural born psychic with a wonderful client base of thousands. I have been reading professionally for over 15 years. I am here to bring you the best possible path for your life's quests and situation. My goal is to help you with all areas of your life. With the deepest respect and a sense of humor we will find the answers you are looking for. It has also been my pleasure to work with the NYPD on Cold Cases. There is a measure of happiness when you can help bring closure to families. Specific questions bring specific answers. No one is 100% except God, I do give my best to all. Although Rosemarie has crossed over, she still continues to assist me as she has become my Spirit Guide. *** It is with pleasure to endorse Joanne Salem. Joanne assisted me on several investigations while I was a member of the NYPD Cold Case Squad. With minimal information given, Joanne's accuracy was clearly targeted and on point. She was so precise with facts that were strictly confidential. I will not discuss specifics on cases but will go on record suggesting that Joanne was and is a major asset and I intend to utilize her in my new endevour as a Private Investigator. *** It is with great pleasure that I tell you about the special talent Joanne Salem has. I've know Joanne for years and frequently rely on her judgment with respect to my love life, professional pursuits and financial investments. Joanne has been regularly on the money whenever I consult her. Even when the news is bad, she projects with sensitivity, clarity and Patience. Joanne has made many guest appearances on radio station talk shows. Over the years, she has shared the microphone with many of my listeners in New York and elsewhere. Once you’ve heard her, you’d be compelled to listen to her advice. Again, it is an honor and a pleasure to endorse her work. *** My private readings with Joanne have proven to be accurate time and time again. Therefore, I will continue to seek her guidance when needed in various aspects of my life. Joanne is a seasoned confident reader who uses her gifts in a very enlightening, positive way. She is a very gifted, honest and compassionate professional. *** Joanne has been working with me for a while now and she has guided me through some of the darkest times of my life. She has restored hope to a hopeless situation, and has given me the faith and strength needed to move forward. We have laughed and cried together and have become friends. Joanne has a wonderful perspective on life and has shared this with me. I am blessed and it was she who let me see it. She has never judged me. My self esteem has been restored with her help. These are only some of the gifts Joanne has given me. I am sure there is more to come. In the year that I have been speaking with Joanne Salem I must honestly say that I have not only found the best tarot advisor, but I have also found a confident advisor and friend, I call her friend even though we have never met face to face only via the phone because she makes me feel like her friend. Joanne’s readings are honest…trust me she does not sugar coat anything. She tells it the way she sees it. It might not always be what you want to hear but you can be sure that it is accurate. I must admit that I was a true skeptic. Many other advisors told me things that I think they just thought that I wanted to hear. At first with Joanne I was skeptical but to my amazement the things that she told me during our reading have come to be. Joanne knows how to talk to you in a calming, caring way and has helped me and is continuing to help me through some tough times. I know that I can count on her to help me rationalize my situation no matter what it is. Whether it be a certain person, a child behaving badly, money situation or just that I am in a bad mood. I know from experience that some other psychics that I have spoken to in the pass would seem to get annoyed with me…because of how many times in a row I would call them…not Joanne. With her it is always “how can I help you”, and she does all of the time. I have recommended Joanne many times, especially to my friends that…do not believe in psychics or other things of that nature. After they speak with her I always get a resounding thank you…I believe, I believe. I recently had an in person reading with Joanne. I emailed her asking simply her availability.. I later was told as soon as she saw me that she felt my urgency and just started blurting out the most unbelievable details of what I needed to see her about. It is a horrible situation, but Joanne was so kind as I cried through most of my time with her and I am writing today, months later to say she was totally accurate I have my family back and my sanity.. This woman is a gift from God. Please call her she is a special human being I have been blessed...you will be too. I had my first reading with Joanne. She gave me such wonderful insights about people I have been worrying about, insights that never occurred to me. She really picked up on my anxiety and I feel so much calmer now. I can't wait until my next reading with her. I really like her. Joanne was really down to earth and gives it you straight. I had a reading with her and it felt like I was talking to a friend. I would highly recommend her. 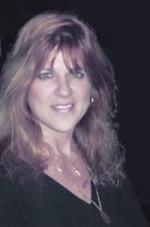 If you are looking for a compassionate, funny, right-on psychic, Joanne is the one for you! I have been calling her for the last year and she is now my "go to person" when I need advice. She has great availability and tries very hard to accommodate your schedule. I love the fact that above anything else, she tells you what she honestly feels and hears about your situation with no nonsense. She is the best and you will love her! You will not regret a reading with Joanne! It was my first reading with Joanne and it was great. She was spot on and was able to give me the details and insight I was looking for, her little details were amazing. She was honest, super friendly and easy to talk to with a great sense of humor. She also gave me great advice. I will be talking to her more. Joanne is an amazing psychic! Have been reading with her for years now and she has never steered me wrong in any of our discussions and lover her to death! She is honest, caring and wont BS you or sugar coat things. And above all else, she is an amazing person that cares about those who seek her guidance! It’s my first time reading with Joanne. She’s such a lovely lady, honest, caring, calming and with a sense of humor. She’s spot on to my situation and the person of my interest. Really appreciate all her insights that allow me for a clear thought to make my decision. Thank you, Joanne! Joanne is an absolutely fabulous reader...she is honest, funny and completely right on. I love that she doesn't beat around the bush and tells you the truth in a kind manner. She listens very carefully and then gives accurate, compassionate information. I have had several readings with Joanne and I trust her to clarify any situation and help me make sense of it. I would recommend her HIGHLY to anyone! I recently had a reading with Joanne and it was just great! Joanne has a terrific sense of humor and is extremely empathetic with your problems. My reading was at the end of her day and she was extremely attentive, understood my problem and gave me great advice. I love that she tells me the truth and helps me think things out. Just a terrific reading!!! Wow! I had a wonderful reading yesterday with Joanne. Prior to my conversation with her I was riddled with anxiety and really had a lot of questions for her which she so quickly tuned in to and answered. Would definitely recommend her she has a gift! I just had a reading via Skype. I am overseas right now and wondering how that goes. But once Joanne start reading, she pointed my situation ( I was busy for everything, tired of all the things I have to handle, etc. ) right away and gave me couple advice. There will be a process but it will be heal and there is a hope. It was very wonderful, warm reading. If you want to get some reading, I highly recommend Joanne. I had the most wonderful first reading with Joanne yesterday. She is funny, smart and insightful and is the real deal. I felt she was truthful about what she was seeing and that is most appreciated in a reader. It is important to me that I'm being told the truth...not just what I want to hear. I felt like I could tell her anything and she would understand. I definitely plan on calling her again for her guidance! My first reading with Joanne .. and wow was she on target ! She connected immediately and was able to pick up family members and give me guidance and very specific answers ! Thank you so much Joanne .. a wonderful reading to help us on our path. Joanne quickly saw my relationship and accurately saw the physical distance between us as well as certain character traits he embodies. She saw money coming to me (which it is through inheritance and a lawsuit). She saw the hardships I have endured the last 2 years (with the loss of both of my parents). She saw the increase in money from my work (I had just received a bonus). She is really connected to spirit and her delivery is kind but direct. She states it like it is...Thank you Joanne. I have had Joanne do readings for me for about 10 years now! She is just amazing with her intuition and accuracy every time she has read for me! I have to say that her predictions always come to pass! She has helped me tremendously Throughout my life! Love her and highly recommend her to help guide you towards a good and happy life!! I had a reading with Joanne 12/22/2017. She was fast to contact me despite the upcoming holiday. My reading was delivered with compassion and helped me feel uplifted and more optimistic. Joanne was very helpful. Thank you! She was great! Hope to speak to her soom. Joanne is fantastic! Her readings are accurate and really resonate! She’s consistent from reading to reading which validates there is no mistaking the messages she receives. She also has a wonderful sense of humor. She is wonderful, call her! I had the pleasure of having my first tarot reading with Joanne today and she did not disappoint! She was able to give me insight into the issues that have been plaguing me recently. She was able to hone in on two of my major issues and provide some welcome relief for me. She made no false promises, as many do, and made me feel extremely comfortable during the reading. I will definitely be using her on an ongoing basis and highly recommend her! Thank you Joanne!! I have and still am going though a really rough time when it comes to a love relationship with someone whom I feel has no interest or thoughts of me. Joanne has always been there to bring me back down earth and tell me to be patient and behave myself along with insights into what is going on with this person in there life so that I can better understand them. I am very thankful to have found Joanne to help me get though this. I would be lost without her help. This was my second reading with Joanne. Im so pleased and impressed with her insight and with the depth of my reading. I had some very specific questions which she answered. I was so impressed, again, with her warmth and accuracy. She's correct in that she is forthright, but I prize that in someone. Truth is something which should be presented whole, and she does. Many thanks, Joanne. You're a treasure. I was able to schedule my first reading with Joanne very quickly, which I greatly appreciated. She really helped me. She doesn't sugar coat and she's honest, but she has a calm and kind delivery. She said things I didn't even know I needed to hear, and she took her tine with me and was very attentive. I walked away from the conversation with a weight off my shoulders. I recently had my first reading with Joanne. She is very kind, encouraging and to the point. I am inspired by her advice and I hope that her predictions come true! I had a 30 minute telephone reading with Joanne. She is very intuitive and on target. It was such a pleasure to speak with her, on many subjects. I would definitely recommend her, as I myself will call her again. Had a reading with Joanne yesterday and felt so much more at ease once I was done speaking with her. I was feeling very unsteady and anxious and she answered my questions and confirmed some items that I suspected but didn't know 100%. She really has a way to make you feel more peaceful. I will definitely be contacting her again in the future if I need more clarity or direction. Thank you! !